If you have a real estate blog it’s likely you are hoping to use this blog to gain leads or at least reach out to new clients. Just writing random articles may make you feel like you are actually out there doing something, but there’s more to working a blog. Capture Leads — You can create a lead capture page where readers enter their name and email address to subscribe to your blog. Also, generate inbound leads by putting together some nice pieces of educational content and promote them on your blog and social media pages. 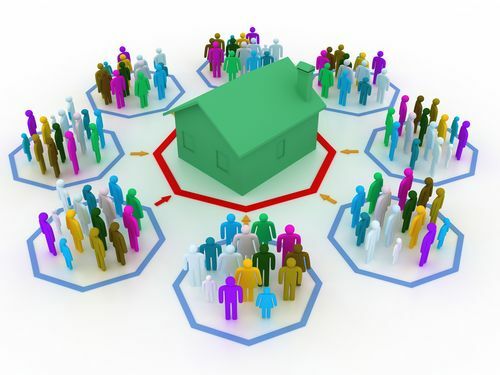 Create a Tribe — Your real estate blog doesn’t just have to be about real estate. You can choose a topic that you’re passionate about and incorporate posts on this topic into your blog. Maybe you love to garden, cook or drink wine. Start building a tribe around different topics through your real estate blog. Use Facebook Boosts — If the problem is getting people to find your blog, Facebook boosts can help. You can push people to your blog for $1 a day. Write content that is relevant to your target area then push the content out to those people using Facebook Boosts. Use Video — Video is a great way to get people to your site. People prefer video over reading a blog post and videos will rank you higher in a Google search. You can head out to local parks, do videos on real estate topics or even interview local businesses. Create Neighborhood Pages — Neighborhood pages are a great way to pull traffic to your blog. Use SEO practices to make sure your neighborhood pages will be easily seen in Google or other web searches. Get out, take photos, and do a quick write up on neighborhoods that you focus on. Through incorporating the above five real estate blog tips, you can turn your blog into a successful real estate marketing tool.